What do you get when you combine athletic shoes know-how with tough, work-friendly features? You end up with something exactly like Reebok Men's RB4388 Brown Non-Metallic Composite Toe ESD Boots. They're made to meet all those safety standards the boss requires, bu ... (see full details) (see specifications) #RBKRB4388. What do you get when you combine athletic shoes know-how with tough, work-friendly features? You end up with something exactly like Reebok Men's RB4388 Brown Non-Metallic Composite Toe ESD Boots. They're made to meet all those safety standards the boss requires, but these work boots were engineered by some of the best athletic shoe minds you'll find anywhere. These Reebok boots are designed to look like classic Reebok hi-tops. The difference? They're made with golden tan nubuck leather that has all the durability and toughness of full-grain leather. It's abrasion-resistant, weather-resistant, and easy to clean (that's a feature we think every athletic shoe should have). Nubuck leather is also soft and pliable around your feet, moving naturally with your steps instead of working against you when you're wearing these composite toe boots. Nylon mesh material was used inside of these Tyak boots to keep the design airy and lightweight. That means you'll stay cooler, whether you're on the job or shooting some hoops after work with the guys. Nylon mesh resists abrasions, and it releases heat to keep your feet less sweaty. Polyurethane cushions your steps to cradle your feet. Polyurethane is lighter than rubber, but it absorbs even more painful stepping impact. The F2A cushion inserts of these ESD boots are removable and cleanable. They've also got shock eliminator heel cushioning built into the design to absorb shock in the strike area, where you hit the ground the hardest. Wrap-around shank stabilizers provide feet with the support they need when you wear these safety toe boots. The stabilizers keep arches lifted to prevent muscle strain and pain. The shanks of these slip-resistant boots are part of the dual-density sole design that protects your steps with two layers of technology. The midsoles are made with lightweight, cushioning EVA foam. Rubber bottoms keep the soles of these chemical-resistant boots tough and traction-friendly. Made with aircom comfort technology, the rugged soles have heel airbags that soften stepping force every time you move. Made to be static dissipative, the soles don’t collect static energy that may harm electronics. These brown boots designed with dual-resistor technology. That means there’s a built-in backup system to ensure that the soles don’t absorb static electricity. The design is 100% non-metallic and security friendly. The XTR brand composite toe caps weigh much less than steel, and they won't conduct electricity. The toe caps, housed inside roomy extra-wide toes, give you ASTM F2413 rated protection from impact and compression when you wear these men's boots. When you combine all those elements your feet need, you get Reebok Men's RB4388 Brown Non-Metallic Composite Toe ESD Hi-Top Boots. 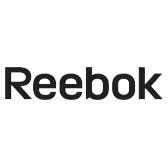 Reebok Boots: Men's RB4388 Composite Toe ESD Tyak Hiking Boots is being added to your cart.